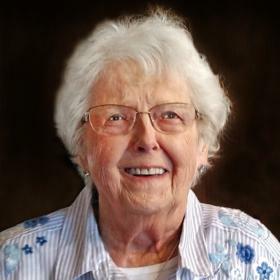 Barbara Ann Miller, age 88, passed away Thursday, November 29, 2018 at Ascension All Saints Medical Center. 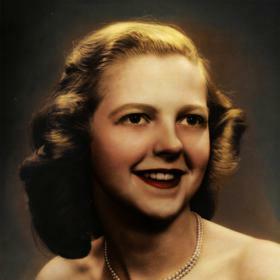 She was born in Sullivan, WI, May 31, 1930, daughter of the late Alfred and Mayme (Nee: Olson) May. 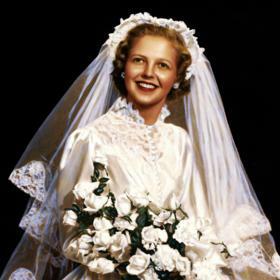 On November 4, 1950 at Holy Name Catholic Church she was united in marriage to Arnold E. Miller Jr. Barbara was employed at Goldblatts for several years and also worked with Dr. Andersen as a receptionist. 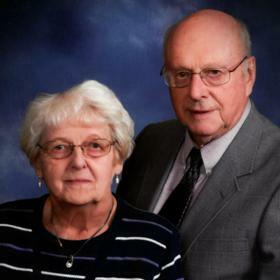 She was a longtime faithful member of St. Paul the Apostle Catholic Church. Her hobbies included knitting prayer shawls, reading, and enjoyed testing her luck at the casinos. 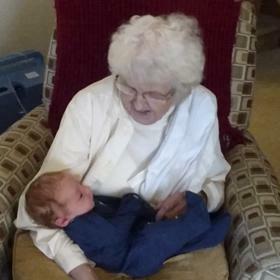 More than anything Barbara was devoted to and cherished time spent with her family. We are blessed to have been touched by her love. She will be dearly missed by her loving husband of sixty-eight years, Arnold; her children, David Miller, Thomas (Karen) Miller, Jeffrey Miller (Barbara Schultz), Barbara (Brian) Jensen, Timothy (Lynn) Miller; 11 grandchildren, Kent Miller, Grant Miller, Camille Miller, Paul (Adrienne) Miller, Jared (Erin) Miller, Brittney Miller, Jamie (Jacob) Parma, Nick Jensen (Samantha Jones), Ryan Miller (Sarah Martin), Adam Miller, Abbey (Erik) Sharp; 5 great-grandchildren, Izabella (Jack) Petrick, Aurora Miller, Rylan Miller, Beckett Parma, Noah Sharp; and a soon to be great great grandchild. sister, Susan Bergan; sister-in-law, Pat Miller; nieces, nephews, other relatives and many dear friends. In addition to her parents she was preceded in death by her brothers, Alfred and Richard May; and brother-in-law, Gilbert Miller. A Mass of Christian Burial will be celebrated Monday, December 3, 2018, 12:00 p.m. at St. Paul the Apostle Catholic Church, 6400 Spring Street, with Rev. Yamid Blanco officiating. Interment will follow at West Lawn Memorial Park. Relatives and friends may meet with the family Monday at the church from 10:30 a.m. until time of Mass at 12:00 p.m. The family wishes to extend a special thank you to the ICU Staff at Ascension All Saints for their loving and compassionate care.